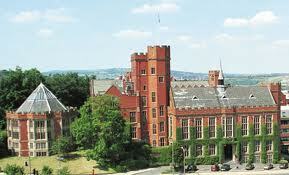 Each year the University of Sheffield offers a number of Prize Scholarships to the very best PhD applicants. University Prize Scholarships cover the cost of the tuition fees and provide an annual, tax-free maintenance stipend of £16,000. The recipient will also receive a Research Training Support Grant of £2,000 to claim back expenses related to their research, such as travel, conferences, books, consumables, equipment, and other miscellaneous items. Applications will be reviewed by a panel chaired by the Pro-Vice Chancellor for Research & Innovation and comprising the Directors of Research & Innovation from the five faculties. The strongest candidates will be submitted by the faculties into a University-wide competition, from which the Prize Scholarships will be awarded. Awards are tenable for a maximum of three years full-time and six years part-time subject to satisfactory progress. Academic requirements – applicants should have, or expect to achieve, a first or upper second class UK honours degree or equivalent qualifications gained outside the UK in an appropriate area of study. Allowed study options – applicants should be registering on their first year of study with the University for 2011/12 on a full-time or part-time programme of doctoral study. Residency restrictions – awards are open to UK, EU and international applicants. The University operates a single application process for the University Prize, Faculty and AHRC Doctoral Scholarships. By submitting the ‘Application Form for University Scholarships´ you will be considered for all of these funding streams. Before applying, you are strongly advised to contact the relevant academic department regarding the application to ensure that the department is able to supervise your programme of study. Complete an application for admission as a postgraduate student. Details of how to apply for admission can be found by following the ‘How to Apply’ link on the left. Applications for admission should be submitted as soon as possible. Wait until you have received an admissions number (this will be emailed to you). Complete and submit the Application Form for University Scholarships by 28 January 2011. You will receive an email acknowledging receipt of your application. After the closing date you will be sent a link to our online tracking system where you can monitor the progress of your application. The relevant academic department will consider your application for all the funding streams available to the University for which you are eligible. The University Prize scholarships will be awarded by 28 February 2011. After this date remaining applications will be considered for Faculty Scholarships (and AHRC Scholarships if appropriate). As further information becomes available regarding the timetable for decisions for each Faculty, we will update these web pages – it is expected that all University Scholarships and AHRC Doctoral Scholarships should be decided by the end of April 2011. Demikian kami sampaikan tentang University of Sheffield Prize Scholarships 2011 buzz_button semoga informasi tentang University of Sheffield Prize Scholarships 2011 buzz_button ini bermanfaat.